Here’s what the main branch of the New York Public Library (NYPL) could look like after renovations by Mecanoo and Beyer Blinder Belle. 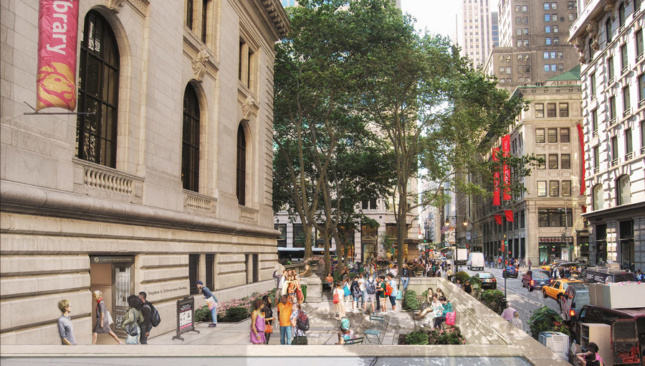 At last night’s Board of Trustees meeting, NYPL revealed a master plan by the two firms for the lion-flanked Stephen A. Schwarzman Building on Fifth Avenue and 42nd Street. Under the $317 million plan, there will be 20 percent more public space in the building, much of it derived from repurposed staff and back-of-house space. 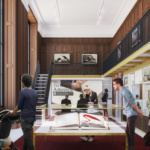 Among the changes, storage and former staff rooms will be converted into research, exhibition, and education rooms, including a new Center for Research and Learning, a space for high school and college students to learn how to use the research library. Outside, an entrance on 40th Street and new elevators will welcome visiting groups, while new elevators near 40th Street will replace back-of-house rooms. A cafe will replace a map storage area that is now closed to the public. 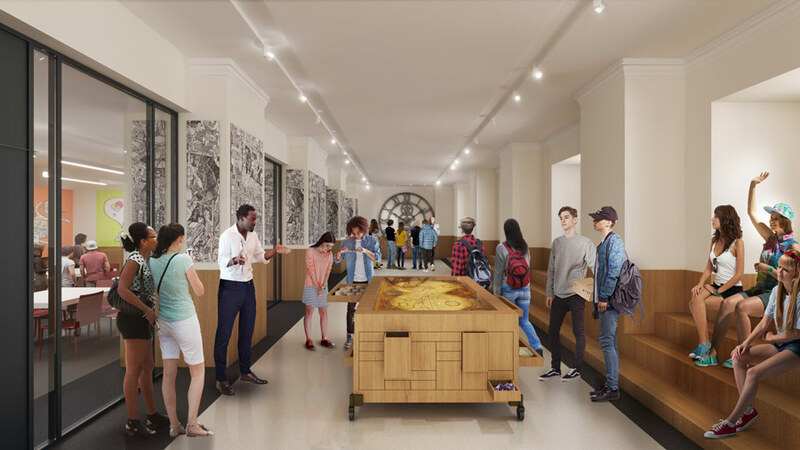 The building will be adapted around its historic interiors, including the landmarked Rose Main Reading Room and Bill Blass Public Catalog Room, as well as Astor Hall, and the Maps, Periodicals, and Genealogy reading rooms, which are un-landmarked. In some corners of the city, the re-location of the seven floors of stacks is the most controversial aspect of the plan. 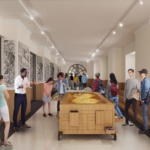 The master plan doesn’t include a definitive plan for the 175,000-square-feet subterranean rooms, but Mecanoo and Beyer Blinder Belle will conduct a study to explore possibilities for the space, with public input. 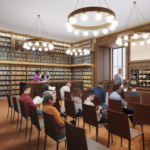 The NYPL says the stacks, which are filled with circulating books while the Mid-Manhattan Library is being renovated, don’t meet present-day standards for housing delicate research material. “The stacks should be used for their original purpose, which is to hold books,” said Charles Warren, president of advocacy group Committee to Save the New York Public Library. Warren, who attended last night’s trustees meeting, said the stacks are crucial to library researchers. Fragile research materials are held in climate- and light-controlled storage under Bryant Park, and books in the stacks can make it to the Reading Room in less than 30 minutes, while books off-site take at least one business day to reach the library. A library spokesperson confirmed that the timing won’t change post renovation. The public will get to hear about the master plan next week, on November 20 at 5 p.m. in the Schwarzman Building’s Celeste Auditorium. Instead of stamp-ready plans, the plan is a roadmap for the design, which is still in development. 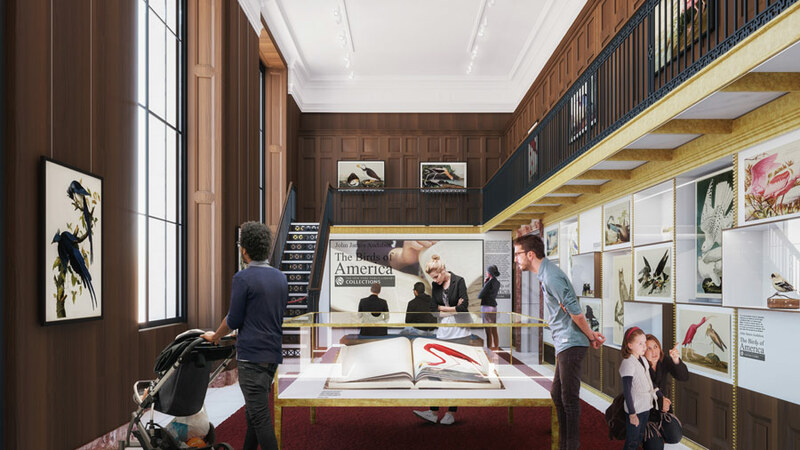 Back in 2015, the NYPL Board of Trustees unanimously selected Dutch firm Mecanoo and New York’s Beyer Blinder Belle to renovate the Schwarzman Building as well as the Mid-Manhattan Library across Fifth Avenue. 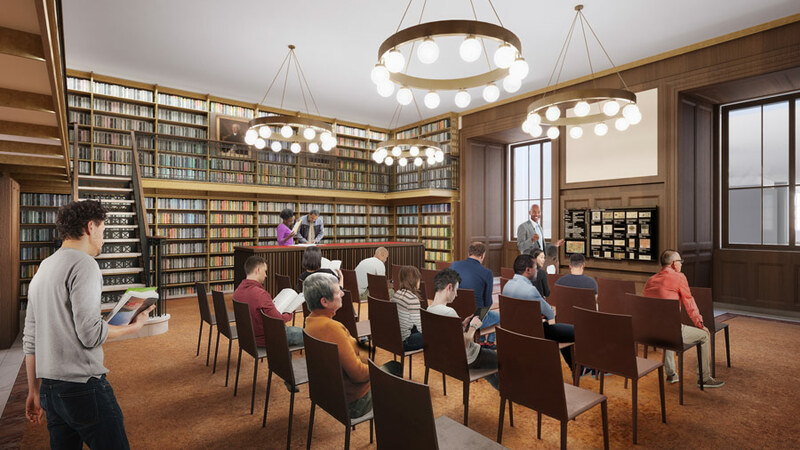 Work has already begun on the latter building, which will reopen as the Stavros Niarchos Foundation Library in early 2020, while renovations to the Schwarzman Building will wrap in 2021. This story has been updated with clarifying information about the stacks.